At a recent trip to the Natural History Museum in London I visited their new gallery of treasurers from their collections, which as you’d imagine, are amazingly varied and cover everything from geology and dinosaurs to early human evolution and the animal kingdom. 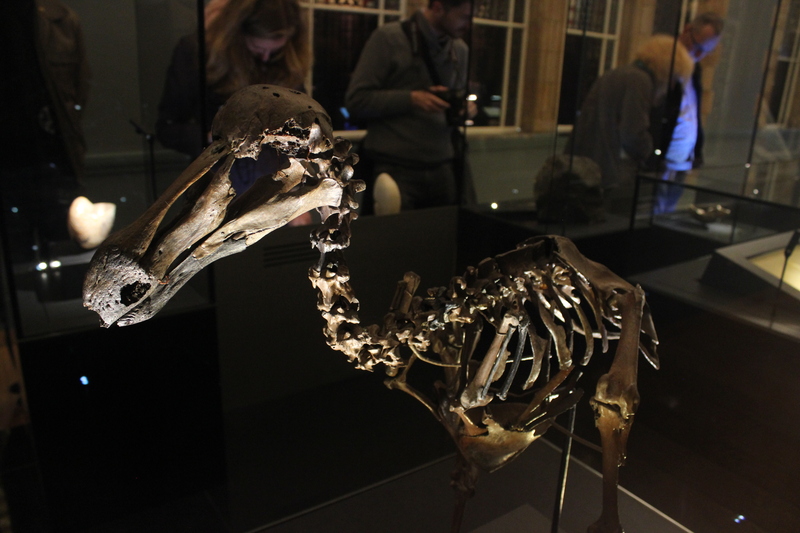 One of the most interesting specimens on display was a composite skeleton of a Dodo, the large bird native to Mauritius which was hunted to extinction over 350 years ago. The complete isolation of this island let the Dodo birds grow and evolve without natural predators and become flightless; much like the Kiwi and the Kakapo. Very few skeletons of Dodos have been found, so seeing the full majesty of the 3ft tall bird was a rare treat! 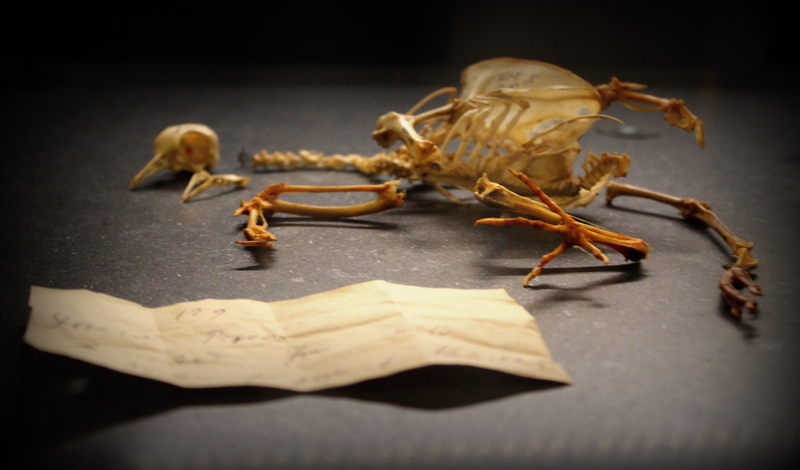 Another specimen that caught my eye was Charles Darwin’s pigeon experiments. He bred rocks doves, artificially selecting features and crossing birds with particular characteristics to generate different offspring. He used them to gather valuable evidence for his theory of evolution by natural selection. He gave all of his pigeon specimens to the Museum and their display included a handwritten note by Darwin with details of the specimen. One of my favourite things on display however, was this skull belonging to a woman who lived 50,000 years ago. 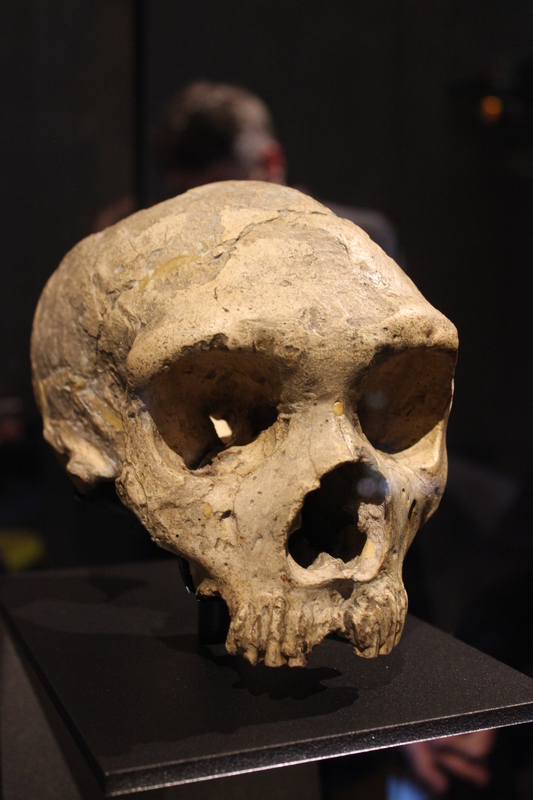 It is the first adult Neanderthal skull ever discovered and was found in 1848 in a quarry in Gibraltar. It’s true significance wasn’t understood until a similar skull was discovered 8 years later in the Neander Valley in Germany and the Neanderthals were recognised as a different species of human. Once thought to be brutish, stupid ancestors of ours, we now know they are more like close cousins and practised art and ritual behaviour. If you are ever near London, I would thoroughly recommend checking out the museum, and it’s amazing Treasure exhibition. If there’s no chance to visit, their website holds a wealth of information!